Last week, I received a package from Banila Co containing this V-V Vitalizing Eye Cream and other products. 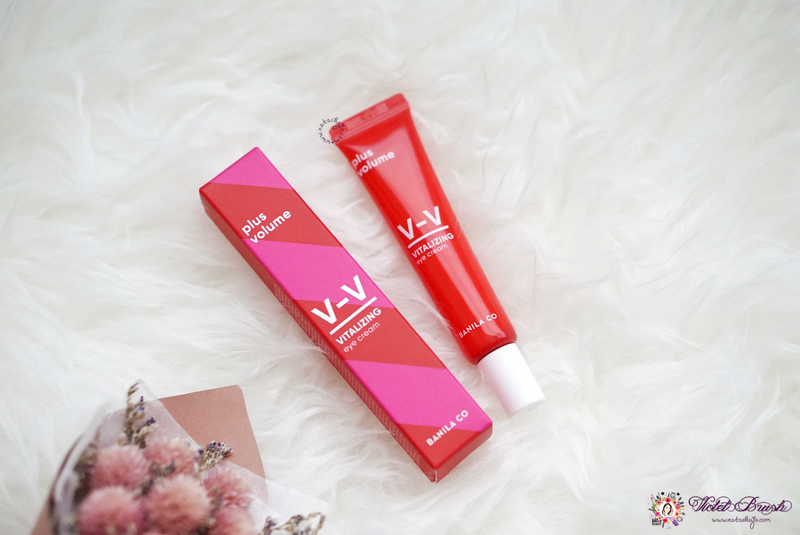 I thought the V-V line only includes makeup bases but turns out, they have eye cream too! Before we move on unto my verdicts, please do note that I've only been using this product for about a week so rather than a review, I would like to call this post as a first impression verdicts instead. V-Collagen will take care of your V(Lifting)-V(Volume) skin as a new concept of early anti-aging! Elasticity eye cream that strengthens and revitalizes the tired eye area with elasticity and firmness. Five types of collagen boosts the skin elasticity to make the skin tender and healthy like baby skin. Peptides and amino acids helps to make the skin smooth and firm. The berry ingredients which is rich in antioxidant makes the skin plump and tender, and provides extra moisture to the skin. 01. V-Angle Care to care for feeble eye are returning the youthfulness. 02. Fills the fine lines of the eye area with a gentle formula for a smooth-looking skin. 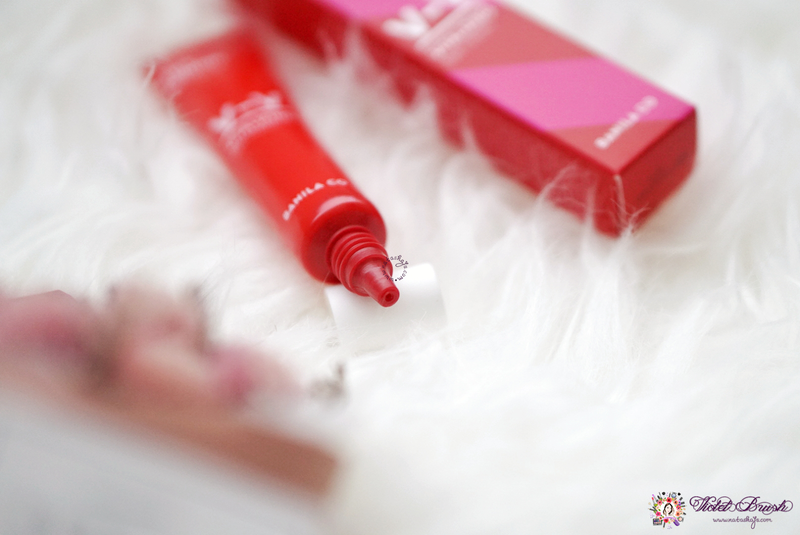 Banila Co's V-V Vitalizing Eye Cream comes with a thin red-colored tube. The combination of red and pink symbolizes the color of Banila Co's V-V line series. I thought that it would come with a roller as applicator but I was wrong, It's a simple plastic tube with small opening. Very lightweight and small in size making it very travel-friendly. 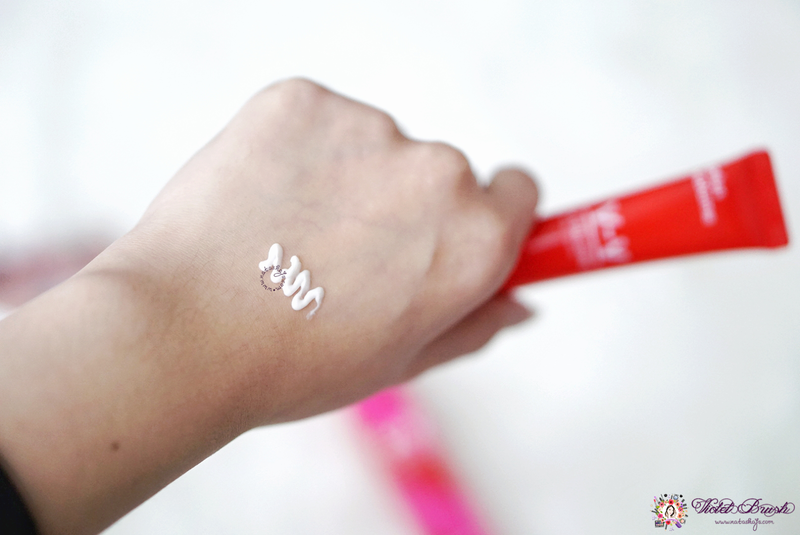 Unlike other aqueous eye creams that I have tried, Banila Co's V-V Vitalizing Eye Cream is pretty thick in texture. However, due to its texture, a little comes along the way. You only need 1/8 of the amount I squeezed out for the photo for an eye. Despite its thick texture, Banila Co's V-V Vitalizing Eye Cream blends easily and gets absorbed into the skin pretty quickly. 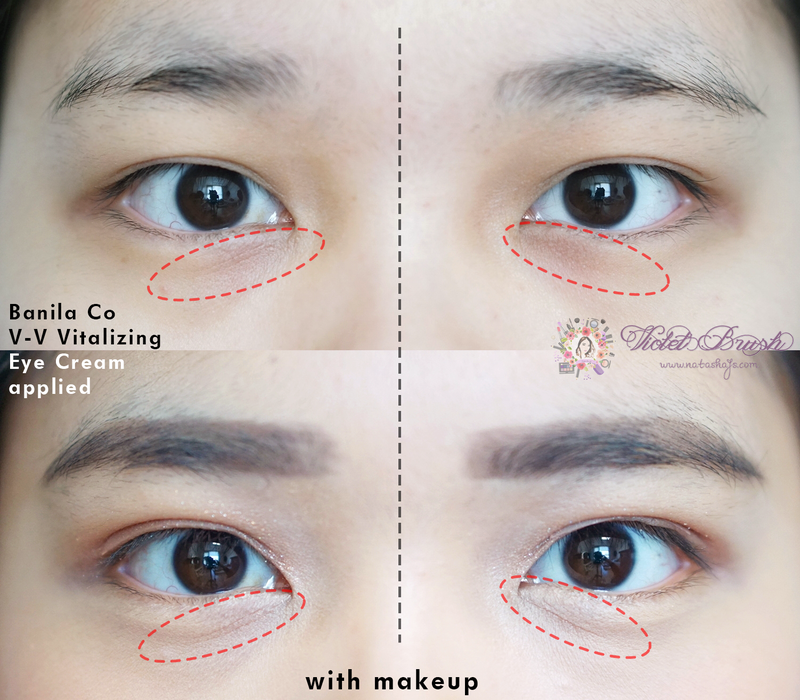 For comparison, I only used Banila Co's V-V Vitalizing Eye Cream on my right eye (left side of the photo). I have some fine lines under my eyes which are not really visible when I'm not using makeup but got pretty visible if I use makeup (because some cushions or foundations sink into the fine lines). You can see that the side I applied Banila Co's V-V Vitalizing Eye Cream, the fine lines are less visible after using makeup while the other side which I applied nothing, fine lines are more visible. 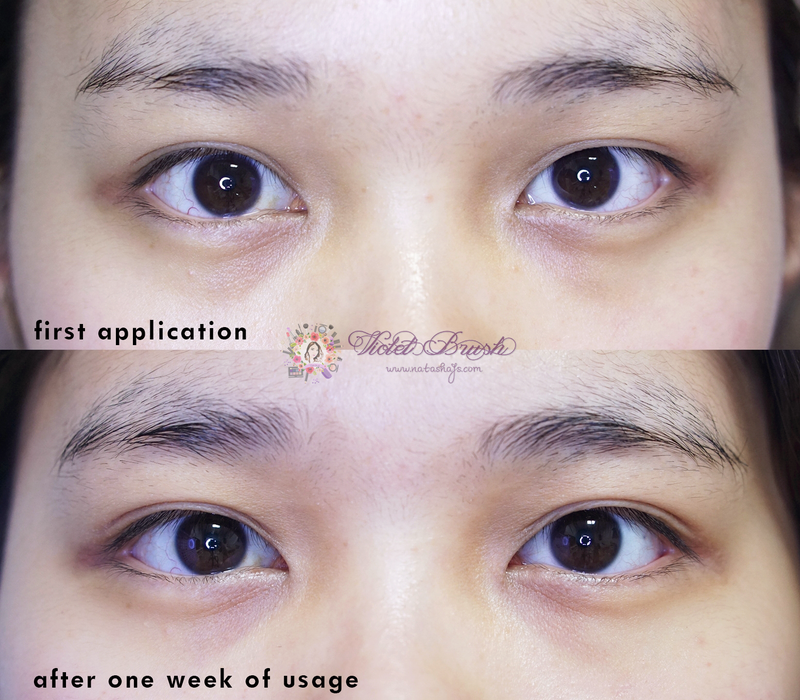 I can't say that I see a lot of improvements after one week of usage but I can clearly see that the skin around my eye area are visibly softer and smoother. My dark circles also improves, although only by a little bit. However, since I've only been using it for a week, I can't say for sure how it will affect my skin in the long run. It has pretty nice effect so far but it's also quite pricey. I used this product for a short time but was nice and I don't have any problem. I can say is excellent. Wowww, baru tau saya eye cream ini. Kalau sengaruh itu, pengen deh nyobain. 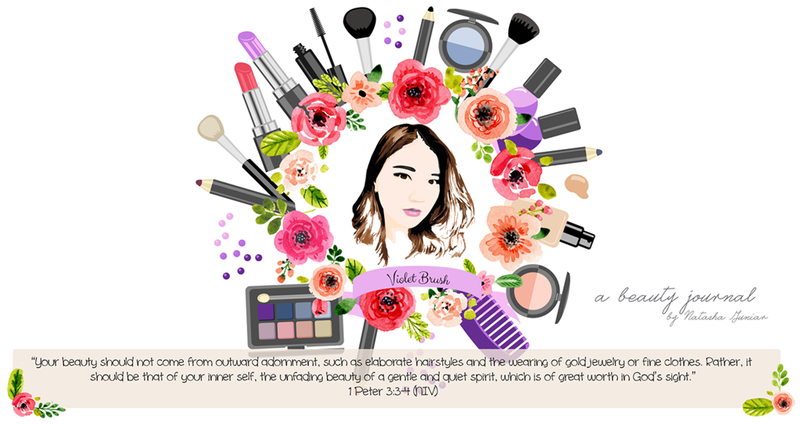 Selain suka lipstik, saya juga paling demen ama eye cream, maklum, kantung mata saya serem.